PL Fallin Photography: "I Stood Upon the Peak, Amid the Air"
"I Stood Upon the Peak, Amid the Air"
Below me lay the peopled, busy earth. Save on that peak, and silence brooded there. Of such a feat might any man be proud! Was it your legs or mine the journey made? ”Then moralled I: The sturdiest peak is Fame’s! As a life time student of English literature, Photography for me is an artistic form of creative expression. It is poetry in living images, scripted through emotions, feelings, and thoughts of my surroundings. There is nothing more beautiful then nature photography and preserving memories of where I have been and the paths I have traveled. I have studied photography for several years and it has become a creative and artistic outlet for me. It is a true art form and can be used in many different formats. It illuminates life and communicates across all languages, cultures, and reveals the spectrum of our emotions. It helps us to express the visual beauty of our surroundings and share the events of our lives and preserves our history. Every picture has a story to tell, a poem to express, and a place to discover. The Children’s Express Theatre of St. Augustine is a new performing arts group that meets weekly during the school year. 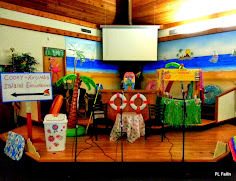 A Reader’s Theatre has something for all children, regardless of their reading level. Children read stories that have been scripted like a play, and they act out the story together. They are encouraged to use vocal, facial, and physical expression to engage with the script and their character. As children continue their repeated readings of the script, they are improving their reading skills and comprehension. They also will have the opportunity to practice speaking skills, such as pronunciation, expression, and varied volume. Our focus is to get every child involved and learning! The American Alliance for Theatre & Education (AATE) connects and inspires a growing collective of theatre artists, educators, and scholars committed to transforming young people and communities through the theatre arts. AATE is working to ensure quality theatre arts for every young person in their schools and within their community. The benefits of theatre education includes improving reading comprehenion and building self-esteem through drama. The arts and drama caters to different styles of learning, and engages students who might not otherwise take significant interest in academics. Moose Traffic Jams Are the Best! "I Found it in the Hedge Row"
Lake Bottom Ducks -- No Sruples! The Photographer's Eye continues to speak to photographers everywhere. Reaching 100,000 copies in print in the US alone, and 300,000+ worldwide, it shows how anyone can develop the ability to see and shoot great digital photographs. The book explores all the traditional approaches to composition and design, but crucially, it also addresses the new digital technique of shooting in the knowledge that a picture will later be edited, manipulated, or montaged to result in a final image that may be very different from the one seen in the viewfinder. 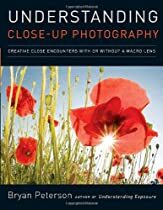 In his sixth book, renowned photographer, popular instructor, and best-selling author Bryan Peterson challenges and inspires us to see close-up photography in new ways when we view it through his eyes. You’ve seen the dewdrops, but what about dewdrops on a bird’s wing or raindrops on a car windshield? You’ve seen the bumblebees on vibrant flowers, but what about the fluid edge of just one petal or the colorful rusting metal at industrial sites? Even when Peterson does capture the more traditional subjects, it's done in untraditional ways–and often with minimal specialized equipment! 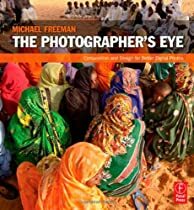 Most important, he moves beyond the commonplace to inspire new ways of getting close, using your lenses, and discovering unconventional subjects. McArt Group, LLC. has pledge to donate 10% of their Net Income each month to UMCOR. "To alleviate human suffering—whether caused by war, conflict, or natural disaster—with open minds and hearts to all people." UMCOR. Be There. Be Hope.